Poor inventory management: No business likes to admit it, and certainly companies don’t want to feel the negative impact of it. Particularly if it means the loss of customers and revenue. So if you are one of the 43% of small business leaders who say they are challenged with increasing profits, or the 48% that are concerned with growing revenue, taking better care of your inventory with dedicated inventory management with barcodes, should be a priority. There are a number of reasons why the use of inventory management software, along with barcodes, will not only improve your day-to-day operations, but boost your bottom line in the long run. No, you don’t have to be a Ph.D. to use inventory control software. You could have the misconception that an Excel spreadsheet is an easier route. Manually keying in each SKU number of hundreds of items a day is not easy. 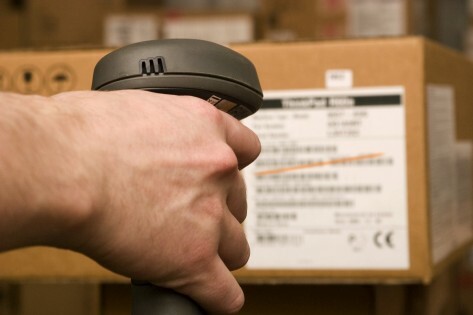 Easy is when your inventory items have a unique barcode label, information can be added to certain items in inventory and associated data can be recalled with one quick and simple scan. Inventory can be viewed in real time, anytime with one scan. Across many industries, barcodes offer automatic product identification, extremely fast recognition and implementation of data. Although application complexity varies, it costs just a few cents per barcode label. Plus, you can lower your overhead and cut down on training time and labor, improving productivity. It will also lower the costs of capital for carrying excess inventory since knowing exactly what is in stock will help avoid ordering an abundance of anything. Inventory can significantly impact your taxes. When you report taxable income to the IRS, you’re allowed to deduct your inventory costs. By knowing the exact amount of inventory, without a doubt, will allow you to make deductions accurately. We all know how quickly technology advances. Barcodes are no different. The technology is available now and can be implemented by anyone. The earlier your business adopts a barcoded inventory management system, the better. Being proactive and implementing best inventory management practices will save time and money in the long run. Too many businesses wait until they are faced with missing, lost or damaged inventory before making the choice to start taking inventory management serious. By then it has cost them thousands of dollars. Following these simple steps will not only save your company time and money but will ultimately improve customer satisfaction as well. Handwriting or manually keying numbers can be a pain; barcoding is a breeze. For every one thousand keystrokes made by a person, there are an average of 10 errors made. However, when using a barcode scanner, only one error is made for every 10 thousand scans. Errors in the front-end eventually mean shipment delays when employees have to search for items that may not be in stock or are misplaced. In addition, data mistakes can cause overspending when too much inventory is ordered. Related Article: How do Barcodes Work? Paul Huffaker, vice president, Racesource, a provider of purpose-built parts for monster trucks, said that before implementing inventory control software, he would mistakenly re-order parts because he didn’t know they already had them. Or he’d find that they only had 99% of the parts they needed for an order. Missing just one percent of an assembly meant delayed shipments and a drop in customer satisfaction. These types of errors were proving to be costly to Racesource, and they knew they not only needed a better way of handling inventory, but a system that could use its existing UPC codes to track individual items and the total assembly. What business doesn’t want to keep their items and their customers safe? Barcode technology prevents mistakes and mix-ups, which is not just an inconvenience to the end-user, but could be harmful, especially in the pharmaceutical and healthcare industries. In addition, barcodes are traceable and fully auditable, promoting theft deterrence, peace of mind, and a demonstrable reduction in loss and liability. It saves time. When the inventory in your warehouse is not organized with an automated system, your employees will spend too much time keying in or writing down inventory, as well as physical searching for items in the warehouse to ship. Tommy Gugliotta, Operations Manager for Professional Cooling & Control Systems, Inc., knows first-hand, saying the time savings has been significant since implementing inventory control. Less time searching means more time filling orders correctly and on-time. Don’t wait until your business is faced with an inventory crisis before implementing barcodes along with dedicated inventory management software. Too many businesses wait until they are faced with missing, lost or damaged inventory before making the choice to start taking inventory management serious. By then it has cost them thousands of dollars. Following these simple steps will not only save your company time and money but will ultimately improve customer satisfaction as well. 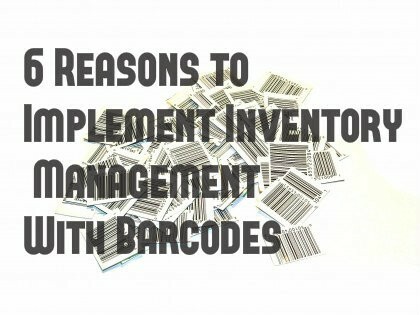 In what ways can inventory management software, that use barcodes, improve your operations?